New Delhi : The Supreme Court on Tuesday referred to a seven-judge Constitution Bench the issue of minority status for Aligarh Muslim University (AMU) – three years after the NDA government sought to withdraw the Centre’s appeal against an Allahabad HC verdict that it was not a minority institution. On behalf of AMU, senior counsel Rajeev Dhavan contended the constitutional issues involved were important as the top court in its 7-judge bench verdict in the TMA Pai case in 2002 did not clarify as to what should be the requirement for establishing a minority institution. There was a need to examine it, he said. The Bench – which also included Justice L Nageswara Rao and Justice Sanjiv Khanna—referred the matter to a seven-judge bench. If the Supreme Court finally declares AMU a minority institution, SCs, STs and OBCs will not get reservation in admission. It’s a contentious issue in Uttar Pradesh, where the BJP is seeking to project it as an example of Muslim appeasement at the cost of the rights of scheduled castes, tribes and backward classes which don’t get quota benefits in admission. The verdict would set a judicial precedent for a similar legal battle in the Delhi high court over the status for the Jamia Milia Islamia University, which was declared a minority institution during the UPA government in 2011. The AMU and the then UPA government had challenged the 2006 Allahabad High Court verdict in the Supreme Court. The BJP-led NDA government had in 2016 told the apex court that it will withdraw the appeal filed by its predecessor government as “the previous stand was wrong”. It said a five-judge Constitution bench in 1968 in the Aziz Basha case had held that AMU was a “central university” and not a minority institution. It maintained that AMU was not a minority institution as it was set up the government and not by Muslims. Dhavan said there was contradiction in the Aziz Basha judgment by the five-judge bench as it said that minority institution can be established but if it is established by a statute it cannot be given a tag of minority institution. Further, he said the issue needs to be examined in the backdrop of the fact that the National Commission for Minority Educational Institutions have been established by the government to protect and safeguard the educational institutions which are established by the religious minorities. In its affidavit, the Narendra Modi government had earlier sought withdraw all letters issued by the Ministry of Human Resource Development (MHRD) under the UPA regime allowing the AMU to reserve 50% of its seats for Muslims in the faculty of medicine. The NDA government had quoted former Prime Minister Indira Gandhi – who had told Parliament during a debate in 1972 that “if this demand (minority status to AMU) is conceded, the government cannot resist similar demands from other minorities, religious as well as linguistics”. 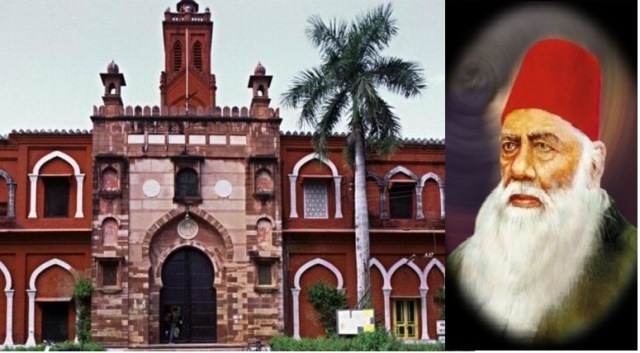 1857: Sir Syed Ahmad Khan established Mohammedan Anglo-Oriental College. 1920: AMU Act enacted dissolving Mohammedan Anglo-Oriental (MAO) College and incorporating it as a central university. 1951: Parliament passes AMU (Amendment) Act; compulsory instruction in Muslim theology done away with. Membership of the AMU Court opened to non-Muslims. 1966: AMU Act further amended. Amendment challenged before SC by S Azeez Basha. 1967: SC dismisses the challenge by holding that AMU was not a minority institution as (a) it was established by an Act of Parliament and (b) had not been set up by Muslims. 1972: AMU Act amended again; academic and executive councils made more democratic number of Visitor’s nominees reduced. 1981: Yet another amendment to AMU Act. AMU allowed “to promote; especially the educational and cultural advancement of Muslims in India”. It also allowed AMU to get back its minority tag by attempting removing the basis of the 1967 SC verdict. 2004: AMU reserves 50% seats in PG medical courses for Muslims. 2005-06: Allahabad HC declares reservation for Muslims was unconstitutional on the basis of SC decision in Azeez Basha case. 2006: UPA government and AMU file separate appeals against Allahabad HC verdict. They contended the 1981 amendment gave AMU a minority status and allowed it to give reservation to Muslims. 2016: NDA decides to withdraw appeal against Allahabad HC verdict. Attorney General Mukul Rohatgi tells SC AMU is not a minority institution.